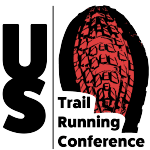 Press release from ATRA partner The Collegiate Running Association (CRA). Bethany and Hayden received funding for their 2016 World Mountain Running Championship trip to Bulgaria from the American Trail Running Association. (Richmond, VA) – Bethany Sachtleben (Stafford, VA / Northern Virginia Community College) and Hayden Hawks (St. George, UT / Southern Utah University) have been named the 2016 Collegiate Running Association Athletes of the Year. Sachtleben had an impressive year, winning the 2016 Collegiate Mountain Running National Championship in Lincoln, NH and placing 2nd in the Collegiate 10K Road Race National Championship in Richmond, VA. In her first-ever mountain race, Sachtleben was crowned the Collegiate Running Association’s 2016 National Champion, earning $750 for her victory. The race also saw her earn a spot on the U.S. Mountain Running Team for the 32nd World Mountain Running Championships (WMRC) held in Sapareva Banya, Bulgaria, as she placed 2nd overall in the USATF Championship division of the race, which was held concurrently with the collegiate race. At the World Mountain Running Championship in September Sachtleben placed 18th and helped the USA team win the Bronze Medal. The Ukrop’s Monument Avenue 10K hosted the Collegiate 10k Road Race National Championship for the 3rd consecutive year in 2016. Sachtleben used negative splits of 17:36 for the opening 5K and 17:09 for the 2nd 5K to run 34:45 to claim 2nd place and the $1,000 runner-up prize for reserved for collegians. As a student, Sachtleben earned a Bachelor’s in Finance from George Mason University in 2015, where she also qualified for the NCAA Championships and won multiple Atlantic 10 Conference titles. She is currently enrolled in graduate classes at Northern Virginia Community College where she is completing a degree in Accounting while serving as a volunteer coach for the George Mason University track & field and cross country programs. Sachtleben also served as a volunteer guest speaker for the Virginia 529 Kids Run prior to the Ukrop’s Monument Avenue 10K. While a senior at Southern Utah University last spring, Hawks ran 13:53 (5000M) and 29:29 (10,000M) on the track in April. He holds personal bests of of 13:51.72 (5000M) and 28:53.12 (10,000M), was the 2015 Big Sky Cross Country Champion, and earned NCAA DI All-America honors in cross country. In 2016, Hawks competed in fifteen (15) races and was involved in multiple community service works. After completing his Bachelor of Science in Exercise Science and Human Performance (Pre-Med), Hawks quickly became an international force on the mountain and trail running scene. 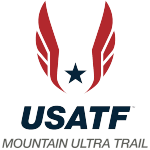 His race schedule was highlighted with his 2nd place finish in the Collegiate Mountain Running National Championship and 4th place finish in the USATF Mountain Running Championships held concurrently within the Loon Mountain Race (Lincoln, NH). With his finish he also earned an automatic berth to the U.S. Mountain Running Team for the 32nd World Mountain Running Championships held in Sapareva Banya, Bulgaria. Taking full advantage of the opportunity, Hawks placed 4th overall in the World Mountain Running Championships and helped the U.S. team to its first ever Gold Medal. Hawks, who picked up sponsorships from HOKA ONE ONE, NATHAN Sports and BUFF, continues to give back to the running community. He founded the Cedar City Track Attack (Volunteer Youth Track and Field Team), served on Southern Utah University’s Student Athlete Advisory Committee, and was a member of the Rural Health Scholars and Dean’s List. Along with serving as manager at the St. George Running Center, Hawks is a volunteer cross country coach at Desert Hills High School, Church Youth Teacher in St. George, and does physical therapy volunteer work in Cedar City. The Collegiate Running Association (CRA) is a 501(c)3 non-profit organization founded November, 2013 with a mission to promote healthy lifestyles among college students by providing and expanding opportunities in the sport of running. 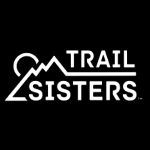 The vision of the CRA is to offer national championship events in road, mountain, and trail running with prize money specifically reserved for college students that are open to all college students enrolled in at least one class. Since their first championship in 2014, the CRA has awarded over $64,000 in prize money to college students in road, mountain and trail running events. Membership is open to the public (click here). Follow the CRA on TWITTER, INSTAGRAM, FACEBOOK, GOOGLE+, and RunnerSpace.